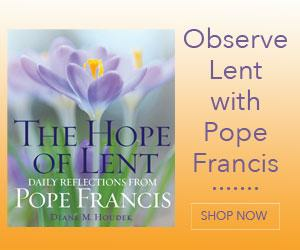 Judy Zarick and Father Greg Friedman discuss his book, Lent with the Saints: Daily Reflections. 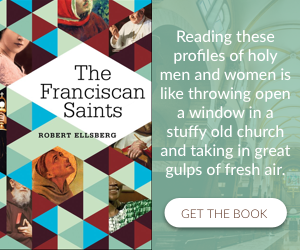 Father Greg gives examples of some of the saints who appear in the book and tells why they make such good spiritual companions, especially during Lent. Franciscan Father Dan Kroger answers these pastoral questions: May the sacristan clean the vessels that have been used for the Eucharist? 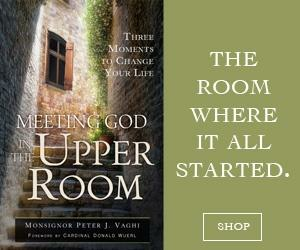 When is a genuflection [before the Blessed Sacrament] required, and when is it sufficient to bow? Daughter of St. Paul Sister Rose Pacatte takes a look at Pope Emeritus Benedict’s theme for the 2012 World Day of Communication: how to be silent, in order to hear and live God’s Word in the world of media. From Living a Spirituality of Action: A Woman’s Perspective, by Joan Mueller. John Feister is joined by faith-formation leader Jeanne Hunt, who gives us a perspective on Ash Wednesday as an important liturgical event, and on the spiritual journey of the whole Lenten season.